On 21 July 2011 World Champion “No Limits” freediver Patrick Musimu (his personal best dive was to 209 metres) died while training alone in a pool in Brussels, Belgium. This highlights the dangers of freedivers training by themselves in a pool even when such athletes are very experienced and qualified as in the case of Patick Musimu (who was also a qualified physiotherapist). Freediving is an increasingly popular sport with more and more people trying the sport and practicing freediving in pools. This raises a lot of questions about freediving practices in pools in Australia (and overseas) and how such freediving activities will be safely practiced and supervised. 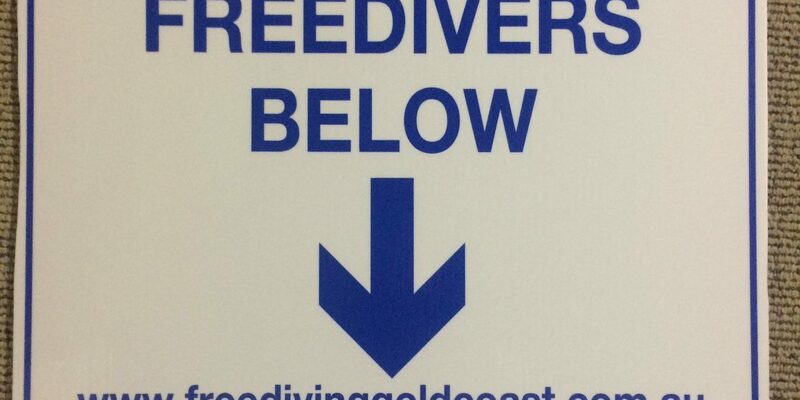 Freediving Gold Coast has taken the initiative and seriously considered the issues raised by freediving in pools in Australia. As such we have developed the following Freediving Pool Standards Code to generate discussion about how to safely practice freediving in pools. Until more comprehensive or agreed upon standards are developed Freediving Gold Coast is following these Freediving Pool Standards in all pool freedivng courses and freediving training. No freedivers are permitted to train alone. Children younger than 16 are not permitted to engage in freediving activities. All freedivers must be accompanied by an in-water buddy or conducted in a lane closest to the side of the pool to enable the buddy to walk along beside the freediver. All freedivers must have certification by an international freediving agency or be in training for certification by an international freediving agency. The latter are referred to as trainee freedivers. If a trainee freediver, they must be supervised at all times by a certified instructor of a recognised international freediving agency. The certified instructor must be a current member of an international freediving agency with current CPR and first aid qualifications recognised in Australia. All freediving activities in the pool must have appropriate signage at each end of the pool to indicate to the public such activities are taking place and not to swim over freedivers. All freedivers must carry a certification card or equivalent and be able to show the certification card if requested by a lifesaver or other pool official as evidence of appropriate freediving training and knowledge of internationally recognised safety procedures. If using a weighting system, all freedivers must use plastic coated dive weights or soft weights so as not to damage pool surfaces. In addition to the preceding guidelines, all freedivers using monofins must ensure the monofins are appropriate for freediving, and a suitable safety space is maintained around the freediver while training so as to minimise the risk of injury to other freedivers or the public. This will involve booking lanes or restricting use to off-peak times. All commercial freediving activities conducted in the pool must show the following evidence: (1) current Instructor membership with an international freediving agency; (ii) current certificate of insurance; (iii) Risk Assessment; and (iv) Current CPR and first aid qualifications.